Unleash your creators from geo and resource constraints. Binge-watching consumers have an insatiable appetite for your content. Your problem is how to keep them engaged when today's 4K turns into HDR, VR, AR and beyond. Let AWS help connect you with world-wide production talent, unlimited capacity, unsurpassed security and the most innovative cloud technology partners in the industry. Untold Studios are the very first creative studio completely born in the cloud. Make smarter production choices based on what your customers love. Free resources for more creative tasks using metadata automation. Pre-processing and optimization for false takes or outs. ML production edit provides quick turn-around for dailies and editorial review. Asset search for locating people, places, objects or flagging prohibited content. Fully automated rendering on AWS infrastructure brings real efficiencies to demanding production schedules. 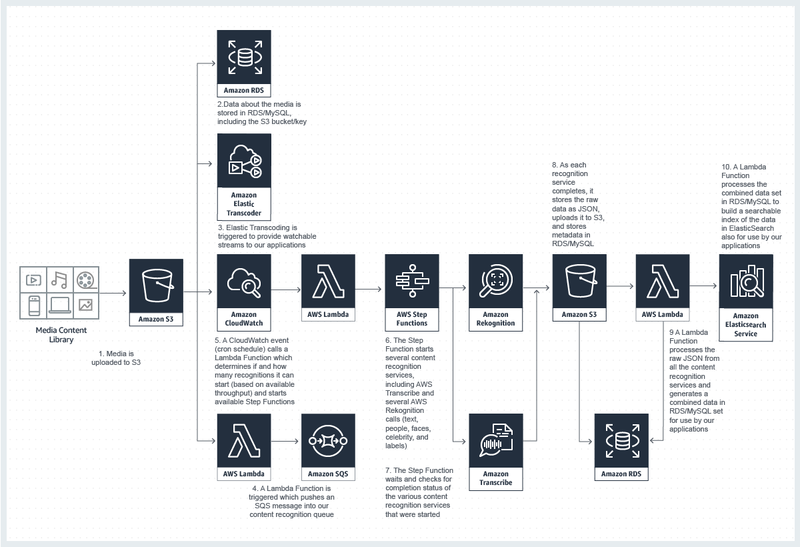 AWS Thinkbox provides better project management, more operational control, and elimination of project dependency to your creations. Deploy a highly available architecture for cloud video editing on AWS. Editors can modify content on distributed workstation, collaborate with others and have a dynamically scalable production environment. Enable smarter, more dynamic content creation at scale using metadata extraction combined with user engagement. VidMob enables personalized advertising at scale for their customers by using machine learning (ML) to power its SaaS application. This application uses metadata extraction and sentiment analysis to provide marketers with actionable insight. 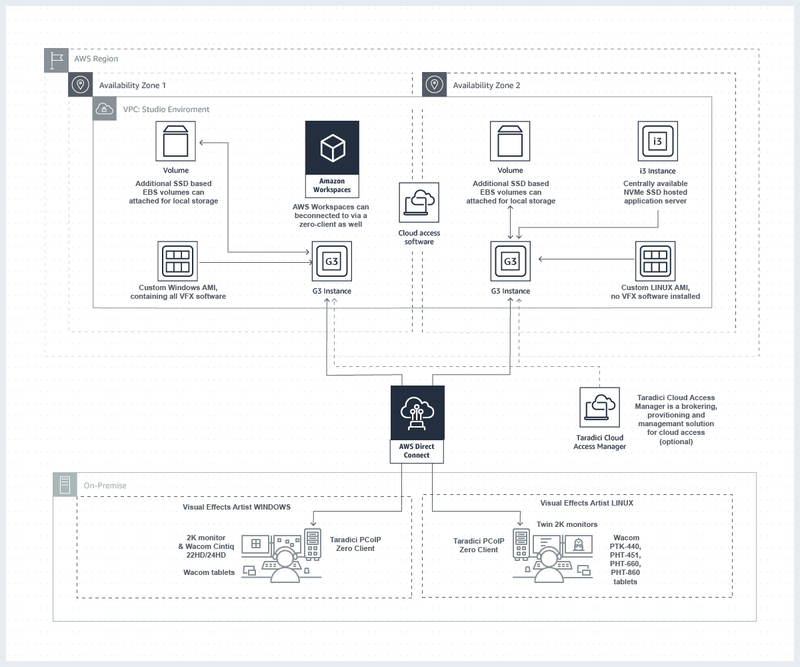 WHITEPAPER: In this article we discuss the feasibility and examples of secure architecture patterns for high-value content creation using the Cloud. PIX provides an online platform enabling customers to collaborate on production and post-production projects where users can access and modify files anytime from anywhere.